One of the most popular events at the Camp Perry National Matches is the Rimfire Sporter Competition. This fun, affordable, family-oriented event allows competitors of all ages to shoot inexpensive factory rimfire rifles. And the ammo is even free — thanks to Lapua. There are classes for both youths and adults, and open sighted rifles (O-Class) as well as scoped rifles (T-Class). New this year is a third class for Tactical Rimfire rifles. CLICK HERE for National Rimfire Sporter Match Official Program. Each year Camp Perry’s Rimfire Sporter Match attracts hundreds of competitors, from grade schoolers to grand-dads. It’s not unusual to see three generations of family members participating. Registration for the 2010 National Rimfire Sporter Championship is now open. To register, simply fill out the CMP Online Registration Form. Entry in CMP Rimfire Sporter matches is open to all persons, male or female, any age, regardless of previous competition experience. For Juniors (born after 1990), entries are FREE, while adult entries cost $25.00 for one rifle class or $35.00 for two classes. The Ninth Annual National Rimfire Sporter Match is expected to expand again in 2010 after eight consecutive years of increased participation. In 2009, 333 individual competitors made 421 event entries. This year the range will feature a full 125 covered firing points that can accommodate 500 event entries in four relays. If there are more than 500 entries, a fifth relay will be added. Now that several companies are manufacturing tactical .22LR rimfire rifles (both bolt-action and semi-auto), the CMP will include a new “Tactical Rimfire” class in the 2010 National Rimfire Sporter Championship program. Also new in 2010, if sufficient range capacity is available, competitors may be allowed to make a third event entry at the match. This would allow a shooter to compete in the new Tactical Class, as well as in both O-Class and T-Class (“T” for telescopic sights). The 2010 National Rimfire Sporter Match will feature a new Youth-Adult Partner Match which combines an adult or older junior with a younger junior in a two-person team event. This will be a fun match to encourage multi-generation family participation and to get more adult shooters to mentor new and younger shooters. The CMP is considering special rules for this match that will give bonus points to teams that have both male and female members as well as to teams that have greater age differences between the two team members . Lapua, a world-renowned ammunition manufacturer with plants in Finland and Germany, is once again the official ammunition supplier for the match and will provide 100 rounds of rimfire ammo for each competitor. Savage Arms is also sponsoring the Rimfire Sporter Match. Savage will present a Mark I or Mark II FVT rifle to the top O-Class and T-Class Juniors. Share the post "National Rimfire Sporter Match Adds New Classes and Events"
When he’s not busy running his software company in St. George, Utah, Ken Nelson enjoys competitive shooting. Ken also produces a web Blog that covers shooting (among many other topics). In his Blog, Ken featured a unique USAMU program that brings some of the nation’s top shooters together with young people for a 3-day marksmanship training camp. To learn more about the USAMU Junior Shooters Camp, read Ken Nelson’s Blog, and you can also visit the Camp’s official website, www.JuniorShooterCamp.org. The USAMU and MGM Targets deserve praise for offering such a fine program for young shooters and their parents. This type of program attracts new participants to the shooting sports and creates a positive image for competitive shooting. Share the post "USAMU Junior Shooter Camp Serves Juniors and Their Parents"
The 2009 National Junior Air Gun Championship, held at the CMP’s high-tech Camp Perry indoor Marksmanship Training Center, has been a huge success. The 3-day event has drawn nearly 290 competitors from 27 states to Camp Perry, Ohio. Shooters have traveled from as far as Hawaii and Alaska to shoot against other top juniors in the country. Winners will be honored at an awards banquet, scheduled for July 3 at 7:00 p.m.
Shooters may enter either the Sporter or Precision class based on the type of rifle and equipment they use, and are then grouped into categories according to age: Sub-Junior (Age 14 and under); Junior (age 18-20); and Intermediate Junior (Age 15-17). There is no age minimum to compete at NJAGC, and this year there are competitors as young as 12 years old. The rules for this year’s championship break with years past. For the 2009 competition, there are no entry requirements; every junior shooter is welcome to compete. The National Junior Air Gun Championship (NJAGC) isn’t just about competing for this year’s title — it’s also about learning to improve and advance in the shooting sports. A training summit is held each year in conjunction with the NJAGC to help competitors, coaches, and parents learn how to train properly, as well as to introduce young shooters to future opportunities. Report from NRABlog.com. Photos courtesy ODCMP.com. Share the post "National Junior Air Gun Championship at Camp Perry"
• CMP Three-Position Summer Camps (Multiple Locations). • NRA Summer Shooting Camps (Includes Camp Perrry Smallbore Camp). • USAMU Junior Smallbore Camp (Starts June 22). In addition, the current On the Mark features an excellent article by Gary Anderson, Director of Civilian Marksmanship (DCM). Anderson provides a step-by-step syllabus for “Teaching with the Supported Position”. Supports are used with new shooters to help them develop the correct positions and gun handling before advancing them to regular, held positions. Helpful photos complement Anderson’s text. Share the post ""On the Mark" Newsletter for Junior Marksmen"
For high-schoolers, summer vacation is right around the corner. If you have a junior shooter in the family, here’s a great opportunity. The NRA’s Training Department will conduct Junior Pistol and Smallbore Rifle Camps this summer at Camp Perry, Ohio. 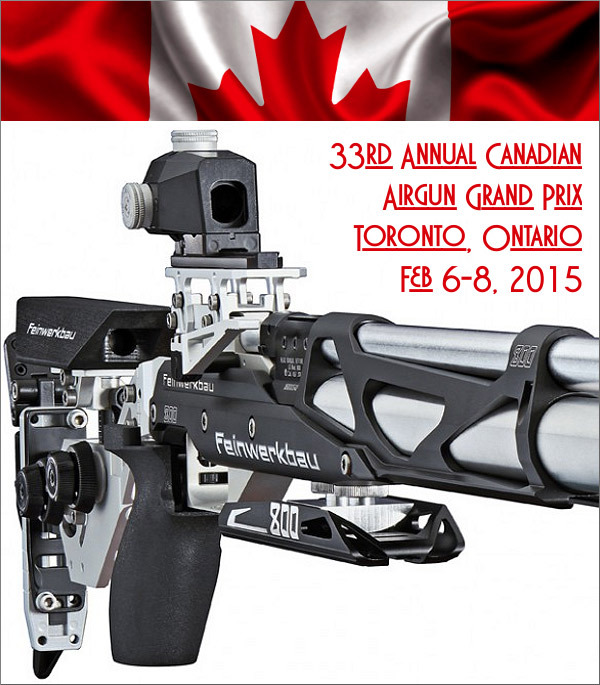 The camps are open to intermediate-level pistol or smallbore rifle shooters ages 12 to 18. But get your application in soon — both camps are filling up. The NRA Junior Pistol Camp will be held July 14-17, 2009. The NRA Junior Smallbore Rifle Camp, which provides instruction in 3-position and 4-position smallbore rifle shooting, will be held July 25-30, 2009. Each camp costs $175.00 for advanced registration (must be received before June 15, 2009) or $200.00 for standard registration (paperwork received after June 15, 2009). Space is limited. First-time campers are eligible for tuition and travel reimbursements up to $500.00 per individual and up to a total of $5000.00 for the entire camp. Taught by NRA Certified Coaches, both camps provide expert instruction in the fundamentals of shooting while providing a safe, enjoyable learning experience. “These camps are an excellent way for young rifle and pistol shooters to hone their current skills while learning new methods and techniques to improve their competitive shooting abilities,” said Bill Poole, Director of NRA’s Education and Training Division. Log on to the NRA website for registration paperwork, or call Chris Thacker (703) 267-1481 for more information. Share the post "NRA Junior Pistol and Smallbore Rifle Camps at Camp Perry"
For two weeks in April, many of the nation’s top young shooters will compete for honors at the National Junior Olympics. Over 300 elite junior rifle and pistol shooters from around the U.S.A. will travel to the Olympic Training Center in Colorado Springs, Colorado, to compete for Junior Olympic Titles. The women’s rifle competition will begin on April 4 and conclude April 7. Men’s rifle events will be held April 10-14 and the men’s and women’s pistol events will run from April 17-19. All events will be held at the U.S. Olympic Shooting Center. To participate in the National Junior Olympic Championships, athletes had to shoot in their State Junior Olympic Championships and either win the match or shoot above a certain score to be invited to the competition. Athletes who are invited have the opportunity to stay at the Olympic Training Center and get a glimpse of what it is like for full-time resident athletes, living and training for the Olympic Games. For a complete match schedule and to access results throughout the 2009 National Junior Olympic Championships for Rifle and Pistol, please visit www.usashooting.org. Share the post "Junior Olympics Draw Nation's Top Young Shooters"